Lisa (pictured left) was handed the keys to the home by McGoff Construction’s project construction manager Gerard Rogers. Lisa said: “The builders have done a sterling job and the finish is second to none. Our expert interior design team has also added flair and luxury furnishings to the interior, completing the entire refurbishment in just two weeks! 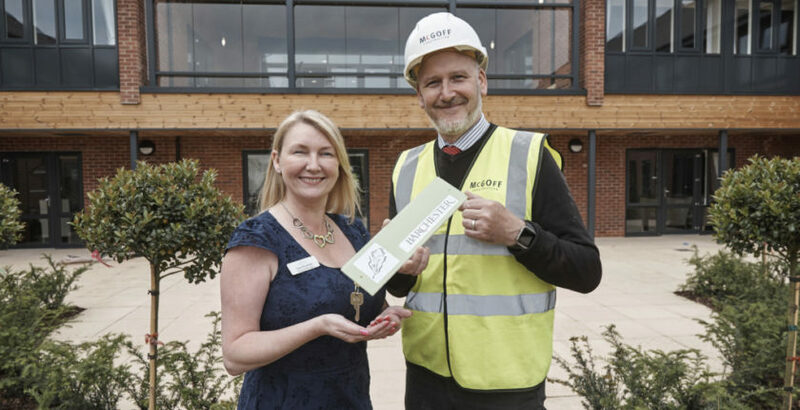 Aptly named after the three spires on Lichfield’s famous Cathedral, The Spires, will provide personalised residential and dementia care for 70 older people in the neighbouring community, and will open its doors to residents this summer.